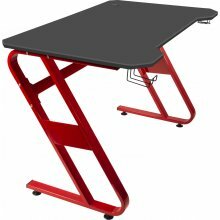 The Scarit Gaming Desk is your steadfast companion that will support you in mastering action-packed challenges and heated skirmishes. 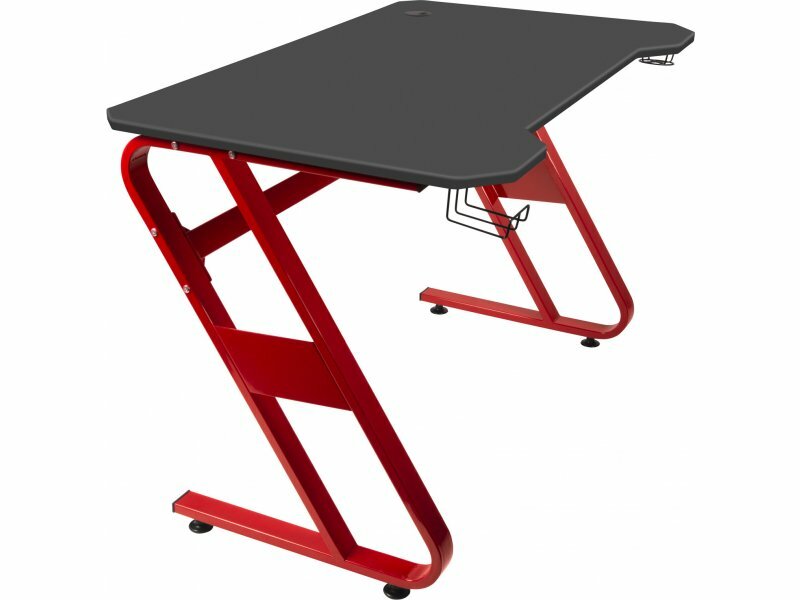 Enjoy total freedom to game without barriers thanks to the Z-shaped desk legs and the gaming-optimised crossbar positioned high up out of the way. The SCARIT also helps you bring order to your desktop with its practical range of features. 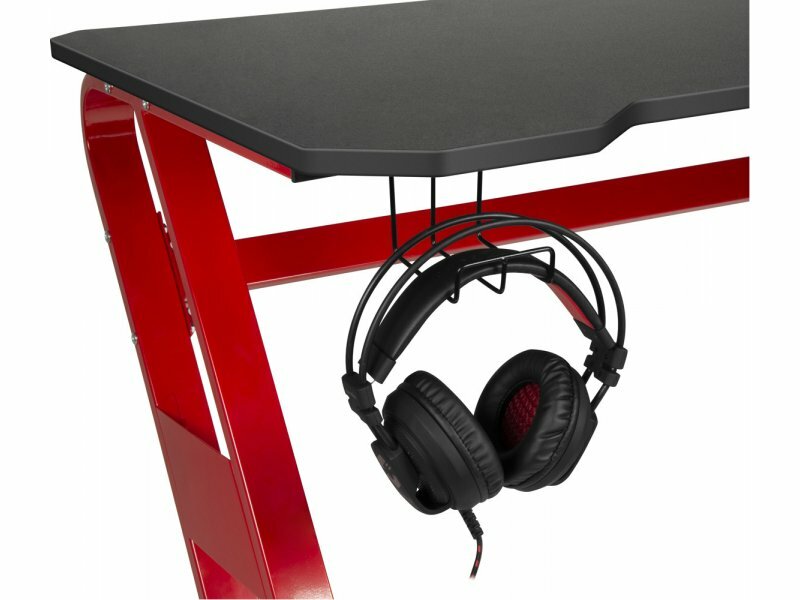 These include the specially designed headset holder for somewhere safe to put them. 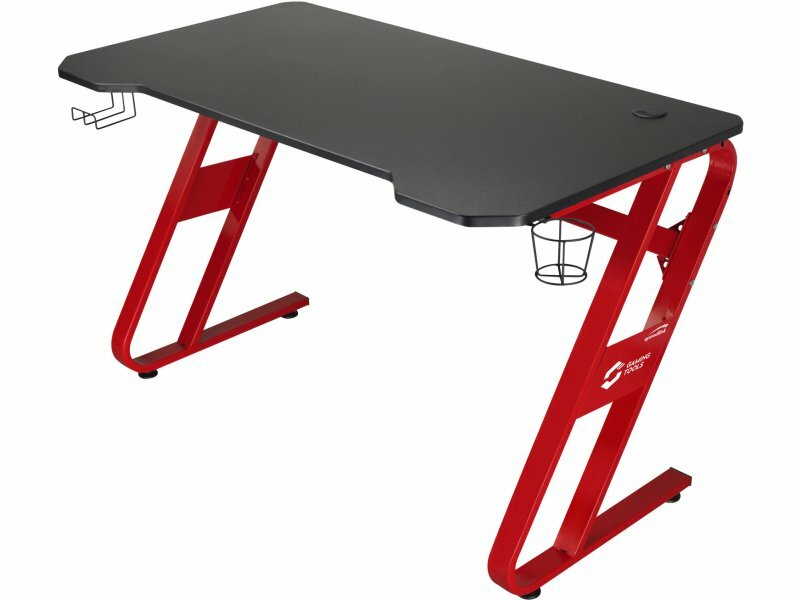 And with the desktop cable-management system, it’s goodbye to annoying cable clutter and hello to your awesome gaming setup – all enhanced by the desk’s stunning black and red colour scheme. 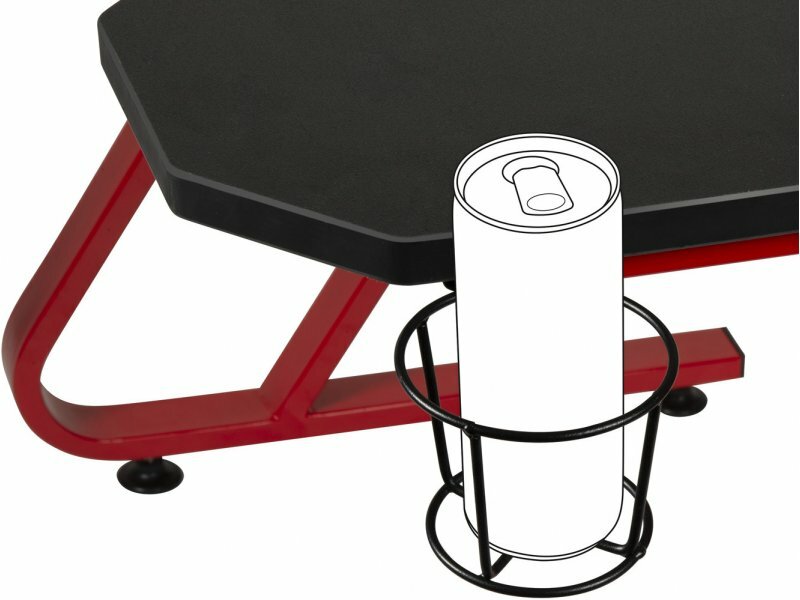 Last but not least, the perfectly positioned drinks holder gives you somewhere to put your personal healing potion for an all-important energy boost whenever you need it.